A rendering of a potential site-plan for the International Village project. From the Water Street 120 Day Update. Editor's note: This article is by guest contributor Nathanael Romero. Nathanael is an Ypsilanti resident and a member of Defend Affordable Ypsilanti, a group which advocates for housing affordability in the city. This is the story of how a recommendation from the City of Ypsilanti Human Relations Commission forced City Council members to articulate divergent views on how to address affordable housing in Ypsilanti. For a while now, many in Ypsi have felt a growing sense of tension around the issues of gentrification and affordability, especially in the wake of a string of new businesses opening during the winter and spring of this year and sparking fears of Ann Arbor spillover. While these controversies have played out most notably on social media, they have also has also taken shape within local government, particularly in the wake of the proposed International Village development at Water Street. On May 23rd, City Council accepted a letter of intent for the development of a mixed-use community on the remaining 26 undeveloped acres of the Water Street property. That letter of intent set in motion a 120-day due diligence period. As we come to the close of the that period, a controversy has been brewing about whether the development could potentially help or harm housing affordability in Ypsilanti. On August 28th, the Ypsilanti Human Relations Commission (HRC) passed a recommendation that “City Council hold a public meeting specific to the International Village Development and affordable housing upon completion of the due diligence period and prior to the approval of a purchase agreement.” This recommendation was passed unanimously by the HRC and it went up to vote by City Council at its most recent public meeting on September 5. The resolution passed in City Council by a vote of 4 to 3, but not without controversy and heated discussion among council members (audio of that discussion can be found here). Mayor Amanda Edmonds and Ward 2 council members Beth Bashert and Dan Vogt expressed support for a public hearing concerning International Village, but they were averse to holding the meeting with a specific discussion of affordable housing. They ultimately were the three who voted against the resolution. "I think we have to keep in mind the old proverb about killing the goose that lays the golden egg. When we start talking about these different things, those are basically loaded weapons in the eyes of developers. They don’t want to be shot by those loaded weapons, even accidentally." Bashert herself motioned to remove the language concerning affordable housing from the resolution, saying rather forcefully that Ypsilanti carries a huge portion of the affordable housing “burden” (a word that she used repeatedly) for Washtenaw County. Ultimately the amendment failed, with Bashert, Edmonds, and Vogt unable to get a majority to strike the affordability language from the resolution. When the original resolution then went up for a vote, the three then proceeded to vote down the resolution in its original language. By their votes, the three showed that they felt it better to have no special meeting at all than to have one specifically related to affordable housing. Council member Lois Richardson (Ward 1), Mayor Pro Tem Nicole Brown (Ward 1), council member Brian Robb (Ward 3), and council member Pete Murdock (Ward 3) all voted in favor of the resolution. The resolution passed with the HRC’s original language. Fast forward to Monday, September 11th. Less than one week after the September 5th meeting, the City announced that the special meeting on International Village and affordable housing will happen on Monday, September 18th at 7pm. This special meeting will come only one day before the development team for International Village will present a purchase agreement to City Council during its regular meeting at 6pm on September 19th. For many observers, this is rather quick. Many expected the developer to present some kind of presentation on September 19th, but not go so far as to present a purchase agreement. For example, during deliberation on the resolution to hold a special meeting, council member Murdock mentioned Mayor Edmonds’ indication that there would be some kind of presentation on the 19th, to which Edmonds interjected, “We have a presentation about an update by International Village. It’s as much as I know.” Nothing was said about the presentation of a purchase agreement, a purchase agreement that we now know will be considered by City Council on the 19th. At this point it’s worth a recap: the City has reached the end of the 120-day due diligence period in which the developer reviewed the property and honed its plans for the site, and now the City is set to hold a special public meeting on the matter, just one day before City Council is set to consider the purchase agreement. But we need to back up even further. Since June, the HRC has had on the agenda of its monthly meetings the item, “Strategies to combat gentrification.” In June, the HRC heard a presentation from Beth Ernat, Director of Economic Development for the City of Ypsilanti, who went through some of the finer points of municipal taxation, explained the role of municipalities in facilitating community and economic development, and presented her own take on the nature of gentrification. In July, HRC commissioners Amber Fellows and Sam Jones-Darling presented their own outline of how gentrification works (namely through municipalities’ drives to grow their tax bases). They also discussed the need to focus on the housing security of renters in Ypsilanti. Finally in August, Commissioner Fellows forwarded the motion to hold a special public meeting on International Village. Commissioner Kyle Hunter introduced the addition that the special meeting address affordable housing. Commissioners supported Hunter’s addition, and the recommendation passed unanimously. The recommendation was set to go before City Council for a vote on September 5th, but when the City Clerk’s office posted the agenda at the end of the week prior to September 5th, commissioners discovered that the resolution was mysteriously absent from the agenda. Commissioners were able to get support from council member Pete Murdock, who motioned to add the resolution back on the agenda during the September 5th City Council meeting during agenda approval. Sources inform me that it was Mayor Edmonds who removed the item from the agenda. Mayor Edmonds has not to my knowledge spoken publicly about her role in the removal of the item from the agenda, but her removal of the item was brought up during a panel discussion on gentrification and Ypsilanti’s south side on Monday, September 11th at Parkridge Community Center. 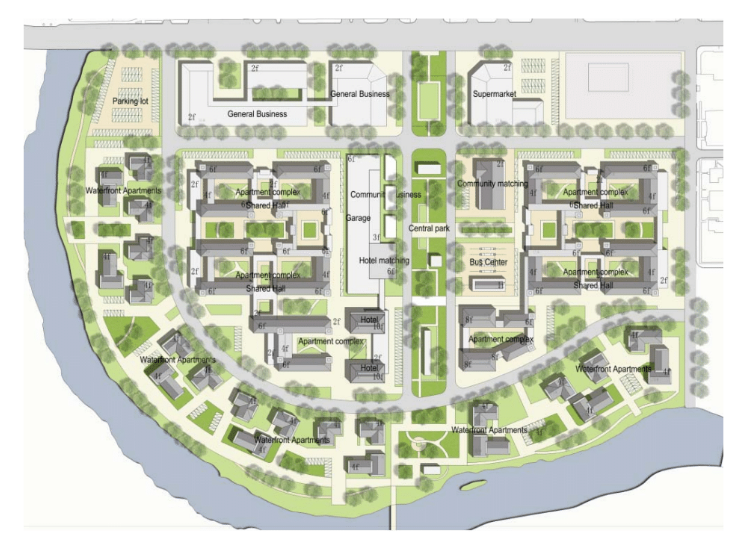 "I am unwilling to add language related to affordable housing to the International Village development, but I do like the idea of a public meeting around it. International Village to my knowledge does not have an affordable housing element nor do I think it belongs in it. I think it’s inappropriate." "We are carrying the burden for this County. I am proud that we have a wealth of affordable housing, and I agree that more may be needed, but I don't agree that it's Ypsilanti's job to do it at this time. I would like to see our neighbors step up, and it's about time they did." Bashert’s position echoes a 2014 report on affordable housing put out by the Washtenaw County Office of Community and Economic Development (OCED) titled, “Housing Affordability and Economic Equity.” The report states, “Ypsilanti cannot remain the de facto affordable housing policy for Ann Arbor and Pittsfield; continuation of this default way of operating will ensure further decline of property values and fiscal stability.” The report calls for Ann Arbor and Pittsfield Township to “grow the supply of affordable non-student rental housing” by adding 3,139 non-student affordable rentals over the next 20 years. The report recommends that Ypsilanti grow demand for “working and college-educated households to live and reinvest in Ypsilanti”, to a tune of 4,178 college educated HHs [shorthand for ‘households’]” over the next 20 years. This report has caused alarm among some activists. While it is true that Ypsilanti has a disproportionate amount of subsidized housing units relative to population, this does not mean that Ypsilanti doesn’t need more housing units that are affordable to low-income residents. Moreover, the drive to induce demand for more moderate-to-high income people to move to Ypsilanti sounds like the recipe for gentrification. The report recommends that “Ypsilanti make[...] progress towards growing demand by investing in livability,” which raises concerns that efforts to increase the desirability for people with moderate-to-high incomes to move to Ypsilanti will eventually lead to the displacement of low-income renters, many of whom already find Ypsilanti to be unaffordable enough as it is. This is a prime worry with International Village, namely, that the development is not intended for the already diverse population of Ypsilanti that is struggling with housing insecurity and that it will induce demand for people to move in who will eventually price out low-income residents. Perhaps the development would simply fill an already existing demand, but it seems likely that it will induce just as much as (if not more than) meet pre-existing demand, a matter that needs to be deliberated if officials are to take seriously the retention of low-income Ypsilantians. Also alarming is the following passage from the OCED’s report, encouraging University of Michigan graduates to move to Ypsilanti: “UM graduate[s] should be taking advantage of the locational and pricing opportunities that Ypsilanti offers; yet aren’t. Why? Because the affordability advantages Ypsilanti can provide are offset by the livability disadvantages that push UM graduate students away.” The upshot of the report seems to be to make Ypsilanti desirable to people earning higher incomes than your average cost-burdened low-income renter. Some context is helpful here. According to 2015 census figures (from the American Community Survey) , roughly 93% of renter households in Ypsi City making $20,000 or less are cost-burdened, that is, pay 30% or more of their income on housing. If, for instance, you make $1,000 a month, paying 30% (or $300) can be quite a lot of money, meaning that you have $700 after rent to pay for food, transportation, utilities, etc., which goes very quickly. But in reality this is far too conservative an estimate of the housing costs for low-income renters, who are likely to pay much more than $300 a month. With studio apartments in Ypsi going for closer to $600 these days, a low-income renter making $1,000 is likely to pay upwards of 50% to 70% percent of their income on housing. This basically means you are living paycheck to paycheck and are very unlikely to save up the money for a down payment on a home or find any readily available point of entry into the so-called “housing ladder.” When the OCED reports that “the ‘housing ladder’ is balanced, with a wide range of options for renters and buyers,” this can come off as rather insensitive to those of us who have little housing options and who are forced to find housemates, live in substandard conditions, move year after year to chase after affordability, or pay an unsustainable and burdensome amount of our income on housing. When officials say that Ypsilanti is “affordable” or “largely affordable” or “overall affordable”, we have to ask, affordable for whom? This is important because 39.9% of renter households in Ypsi make less than $20,000. It is impossible to say that Ypsi is affordable in any meaningful way if 93% of households this income bracket are cost-burdened. The suggestion that Ypsilanti is affordable, or even largely affordable, is insensitive to the needs and experiences of housing-insecure, cost-burdened Ypsilantians in these lower income brackets. Public officials, who are largely middle-to-high income homeowners, have yet to develop adequate sensitivity to the plight of low-income renters. At the September 5 City Council meeting, Ypsilanti City Manager Darwin McClary (just prior to the Council’s voting on the HRC’s resolution) interjected, “Before we can deal with affordable housing, as far as any project is concerned, we have to understand what affordable housing is, and what level is appropriate for this community. How much if it do we want? How do we measure that we have reached affordability in this community?” One good measure of affordability is whether Ypsilanti is affordable to people making $20,000 or less. One good measure, and one matter which the City needs to prioritize, is whether people in this income bracket are able to stay in their homes and stay in Ypsilanti. The retention of low-income renters needs to be a top priority for local government. So I welcome the Human Relations Commission prompting us to have a community discussion on affordability and what’s appropriate for the community. It shouldn’t be tied to any specific project, and I think that’s some of what I’m hearing from council members. Let’s have that general discussion and hopefully come to a decision on what the benchmark is for us for our a community and then apply it in all of our decisions, but not tied to one specific project. We don’t have to solve a particular issue or ill all in one project. There are other, in my opinion, there are other places other than International Village to deal with the housing issue; lots of places in the city, lots of other methods we can use and, more appropriately, other cities and townships should be doing a hell of a lot more to deal with it. Yet one reason that affordable housing advocates and members of the Human Relations Commission want an affordable housing discussion specific to Water Street is not that people pushing for the discussion are trying to “get everything at once” or "solve" the affordability problem with Water Street. It is not that advocates are here to “get a perfection of a particular narrow issue,” to quote Vogt. 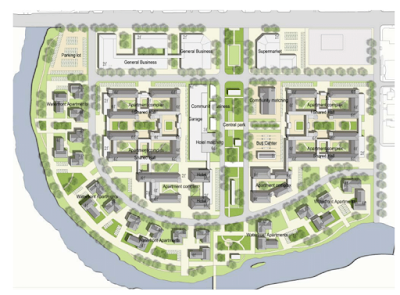 The worry with International Village, aside from the issue of transparency and the need for public input, is that the development could induce demand for moderate-to-high income folks to move to Ypsi and thus displace low-income residents. This worry is compounded by the fact that such an inducement of demand is a recommendation of the 2014 OCED report. It's not that advocates are hoping to solve affordability with Water Street. It's not like International Village is a magical goose that can only bring marvelous things, or at that affordable housing is simply something to add to that list of marvelous things. To the contrary, it's that advocates are trying to stop, or at least mitigate, the harm that the development could cause to affordability for low-income Ypsilantians. Until the City and County choose to center low-income renters and longtime residents who are vulnerable to displacement, then officials cannot say that they are concerned about affordability in any meaningful sense. But the sale of Water Street was never about vulnerable residents, even though it stands to do considerable harm to residents vulnerable to displacement. As you may recall, Amy Foster, the President of International Village, LLC., has requested City Officials to travel to Beijing China to explore the Eastern world architecture and to foster relationships for investment in Ypsilanti. After much discussion, it was determined that the potential developer should not fund such a trip so plans were halted. Staff reached out to several agencies that have traveled and have been involved in foreign developments, who have concurred with the importance of city officials traveling to China, such as MEDC, State government employees and EMU administration. After talking with other agencies about funding opportunities staff was contact [sic] by Wayne State Chinese Students and Scholars Association asking how they could assist in facilitating travel. The CSSA determined that they would provide four full scholarships to the City of Ypsilanti for the purposes of traveling to China. There’s a lot more to follow and keep track of, but the bottom line is, follow the money. How did the CSSA obtain funds to provide the four scholarships? What does this trip say about the intentions of developers and the future of Ypsilanti? (As of publication, an Ypsilanti resident has sent a FOIA request to the CSSA regarding donations and funding it’s obtained and decision-making pertaining to donations it makes to other organizations and entities.) The story of International Village is a multi-faceted story, but one thing is clear: the interests of vulnerable Ypsilantians are not front-and-center of discussions within the City government. If we look back to the OCED’s report, we see that there is interest in facilitating capital growth within Ypsilanti. In many ways, this is “just how things work.” Municipal governments drive gentrification through their quest to grow their tax bases. This is clear in the words of Dan Vogt, who stated, “the financial success of the city has to be the 99.9% criteria. Other issues we can deal in other ways.” Yet we know that “financial success” for a city government can mean displacement for low-income residents. Being concerned about low-income residents is not a “particular narrow issue,” and being 99.9% concerned with the City of Ypsilanti’s bottom line, as councilmember Vogt adamantly is, is not a “balanced approach.” There is a need to take a holistic view of what the City of Ypsilanti can do to ensure the well-being and stability of all its residents, especially residents vulnerable to displacement. Until then, the city government is (to reiterate the words of Brian Robb) only paying lip service to affordability. This is just great. Thank you for publishing it. Thoughtful, well researched, and articulate. Just so I can better understand: what would you consider appropriate rental rates for affordable 1, 2, and 3 bedroom apartments and 2, 3, and 4 bedroom houses? If the state of Michigan allowed for rent controls (which I don't think it does), what percentage of housing stock in the city ought to be limited to those rates? The state specifically forbids rent controls no matter the desires of the will of any municipality. It was pre-empted in the '80s when AA tried to pass rent stabilization. this is really where it all started going wrong for Bashert, Edmonds et al. Very impressive and detailed account that is also very clear. As an Ann Arborite, I sympathize.